After missing 18 races this season in the aftermath of a concussion, Dale Earnhardt Jr. has been medically cleared to resume NASCAR competition. He will return to the wheel of the No. 88 Nationwide Chevrolet for Hendrick Motorsports in the 2017 Daytona 500. Earnhardt’s road back to the cockpit ended at Darlington Raceway last Wednesday, where he completed a nearly five-hour test session observed by NASCAR officials and Charlotte neurosurgeon Dr. Jerry Petty. He turned 185 laps during the session, which followed more than 15 hours in a racing simulator as part of his recovery plan. 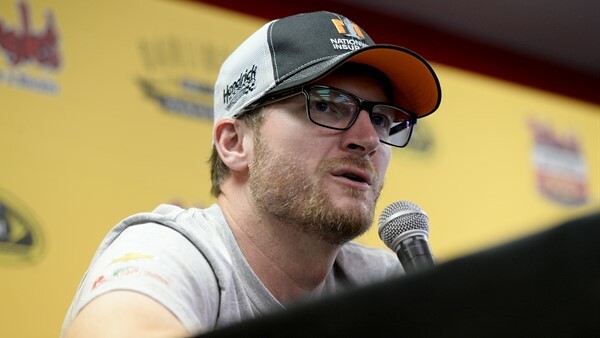 Earnhardt was cleared Wednesday evening by Dr. Micky Collins, medical director of the UPMC Sports Medicine Concussion Program in Pittsburgh, in consultation with Dr. Petty. In Earnhardt’s absence, Alex Bowman ran 10 races in the No. 88 Chevrolet, with four-time NASCAR premier series champion Jeff Gordon driving eight times. Bowman earned the team’s lone Coors Light Pole Award, at Phoenix International Raceway. Earnhardt and Hendrick Motorsports have elected to have Bowman drive the car in the season-opening, non-points Clash at Daytona International Speedway on Feb. 18.